Patrick Donahoe retires, Megan Brennan appointed PMG. The USPS announced it lost $5.5 billion and its leader, Patrick Donahoe, on Friday. Donahoe, appointed Postmaster General and CEO of the USPS in 2010, will retire on Feb. 1. 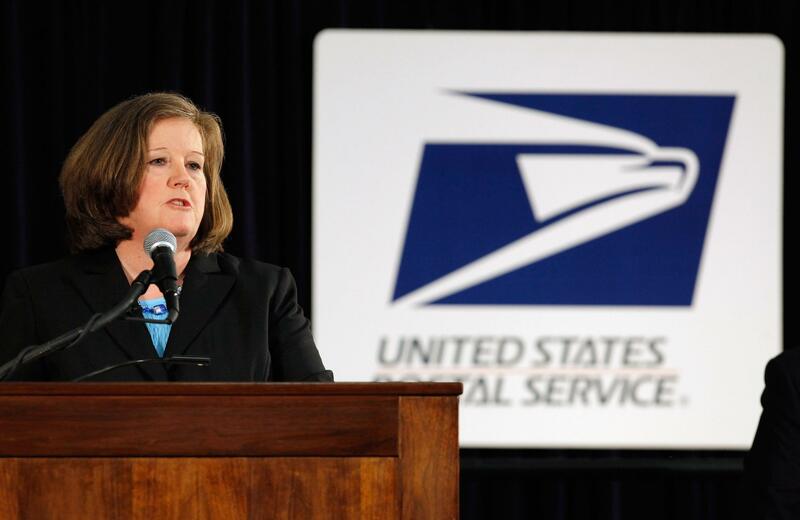 He’ll be succeeded by the organization’s current COO, Megan Brennan (pictured), who will be the first woman to head the postal service. Bumping up the group’s second-in-command and a long-time colleague of Donahoe’s—they started working together on a local level in the 1990s—probably means things will continue as they have in recent years. That is, the USPS will keep trying to control costs, diversify revenue streams and lobby Congress for operational reforms. For magazines, it means Brennan will likely continue efforts to reign in the costs of handling periodicals at a critical time for print media. "We think she understands the tension between rates and volume. She gets the fact that raising rates isn’t always be the best approach and, in our case especially, may actually backfire, negatively impacting volume," says David LeDuc, senior director of public policy for the Software and Information Industry Association, parent group of ABM. "We recognize that Megan may come in and cut costs, and we’re supportive of cost cutting, as long as it’s along the lines of a right-sizing-cutting costs where possible, but maintaining delivery standards. " Jim Cregan, EVP of government affairs for the MPA—The Association for Magazine Media, echoes those comments. Cost cutting is probably unavoidable, but they’d like to see it done in a way that emphasizes efficiency instead through service reduction. As head of the USPS’ massive operations, overseeing almost half a million employees across the country, he believes she’s positioned to do just that. "The chronic issue our industry has had with postal operations is the inability of the postal service, despite good faith efforts, to more efficiently and more cost effectively handle flats, or specifically in our case, magazines," says Jim Cregan, EVP of government "It’s an ongoing challenge. We’ve believed for a long time that the postal service’s costs they say they incur are out of whack. Megan is going to be well-equipped to step up the postal service’s efforts in that regard." Optimism aside, Brennan is stepping into a buzz saw. She inherits an organization that’s posted significant losses for 8 years in a row. The USPS reported a $5.5-billion net loss for its 2014 fiscal year. The Postal Service put the blame squarely on Congressionally-mandated retiree health care benefits pre-funding requirements that cost the USPS $5.7 billion. The organization defaulted on that obligation last year and expects to do so again in 2015 and 2016. Operating revenue was up about 1 percent on the strength of increased package deliveries and a rate hike at the beginning of this year however-its second-consecutive year of growth following 4 years of declines.